Facilities Management, and Many More….. The SMART choice for Air-Conditioning, refrigeration and hard surface anti-microbial cleaners and treatments. Leading building owners and managers understand that air conditioning and refrigeration account for up to 60% of a business’ electricity consumption plus a significant proportion of capital investment and maintenance costs. In today’s competitive market, not only does it make sound financial sense to optimise these systems, cleaner air can also improve occupant health and productivity – all with less impact on the environment. 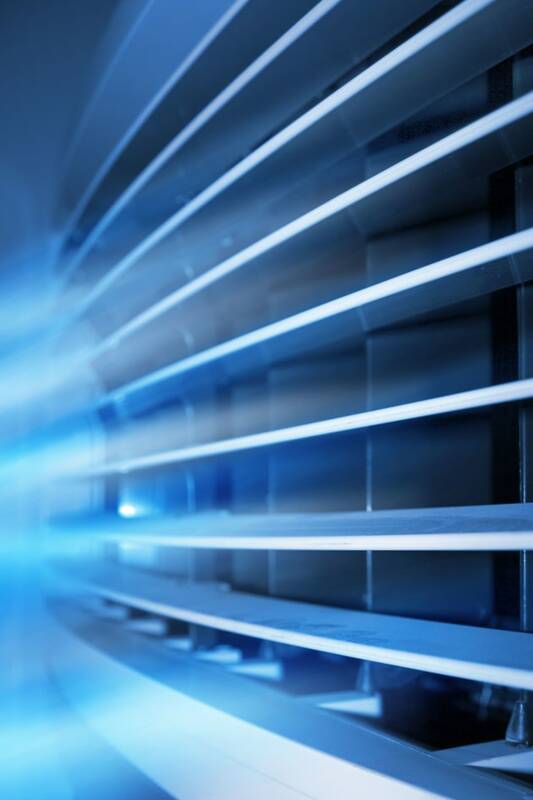 Heat exchanges can quickly lose up to 80% system efficiency in normal operation because of airborne contaminants – resulting in higher running costs, maintenance costs, reduced occupant comfort, reduced asset life and therefore higher total cost of ownership. The AerisGUARD™ range not only cleans the coil and restores the heat exchange back to ‘as new’ efficiency, it also protects it from re-contamination and maintains system efficiency for up to 12 months. In addition to hygiene, long term anti-microbial and corrosion resistance, Aeris’ whole of system approach offers duct and filter treatments, bio-active pan tablets and a complete system for mould and bacterial resistance on all hard surfaces.